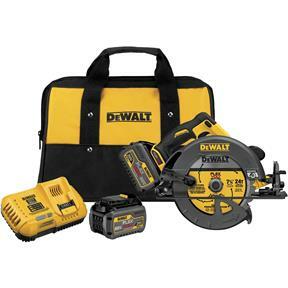 60V MAX 7-1/4" (184mm) Circular Saw delivers the power and depth of cut of a corded circular saw with the power and convenience of a cordless tool. The kit includes 2 60V MAX Lithium Ion battery packs and a fast charger. Depth of Cut at 2-9/16"